For our regular mix of something old, something new-ish, we turn to director Im Kwon-taek’s The General’s Son from 1990. 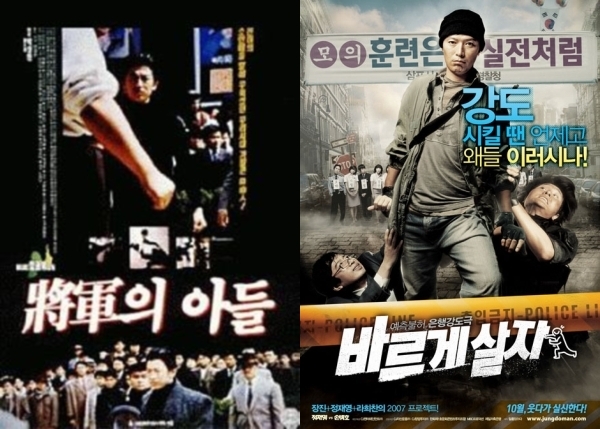 The first of three examinations of brawling gangster turned politician Kim Doo-han and in the second half, Castaway On The Moon’s Jung Jae-young is an excellent police officer who’s also an excellent robber as it turned out in Ra Hee-chan’s Going By The Book from 2007. With Kenny B and Hangul Celluloid’s Paul Quinn. Contact the show via email at podcastonfire at googlemail.com, on our Facebook page and Facebook group or Twitter (@podcastonfire, @sogoodreviews) and SUBSCRIBE to our iTunes feed. We are also featured on All Things Film, a collection of like minded Film, Cinema, TV, Geek and Cult Podcasts.